Chrichton's World: Review Undisputed (2002): It's all about the boxing and nothing else! Review Undisputed (2002): It's all about the boxing and nothing else! All this time I had been thinking Undisputed was B movie trash. A movie I would check out for sure but not one I would ever be in a rush to see. On a whim I decided to watch it and I am very happy I did. Because it was a real treat. 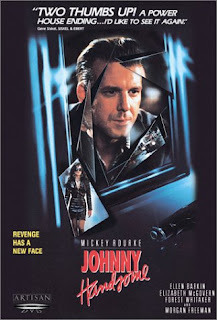 How come this film did not get more recognition? Undisputed is directed by Walter Hill. Director of movies like The Warriors, The Long Riders, 48 Hrs. and more. Someone who knows how to direct good thrilling action films. Then you have actors like Wesley Snipes, Ving Rhames, Peter Falk and Michael Rooker. And all of them make it worth your while even when the story is very basic and minimal. In essence the story is about two boxing champions fighting each other. Monroe Hutchen played by Wesley Snipes who is undefeated in all the boxing matches he has fought inside prison. And you have George "Iceman" Chambers played by Ving Rhames who is a professional fighter and also undefeated . The wonderful thing about this film is that it avoids the trappings of letting you know who to root for. Walter Hill leaves it up to the viewer to decide for themselves. This film also avoids showing us the horrors of prison life. It assumes the audience knows and prefers to show the inmates like they are normal human beings. Only in a few occasions criminal elements are depicted but mostly in function of the plot. The result is that Undisputed is solely focused on the boxing and the players involved. Granted the characterization might be a little lacking and certain dynamics have been simplified. But strangely enough it helped to make the big event more compelling. You absolutely have no idea who is going to win. It makes the fight suspenseful and thrilling. All the more since the choreography is superb. 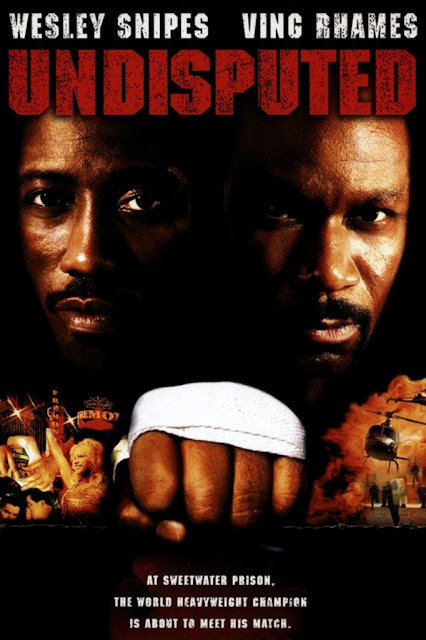 Undisputed is a simple film about two men boxing. Nothing more nothing less. Naturally it would have been a much better film had they given much more depth to the characters or added some social commentary. Walter Hill does point out a few things but he never preaches or tells us what to think. In a way that is very commendable. Maybe even daring. In the end I think most action or boxing fans will be very satisfied with the result. Definitely worth your time.